While everyone is focused, and rightfully so, on the Republican presidential nomination battle, I thought it would be interesting to look at who the eventual nominee might pick for a running mate. ﻿Polling shows VP selections rarely have much of an impact on the vote for President. But they can be important in terms of 1) winning a key state; or 2) help balance the ticket out either ideologically, geographically, or demographically. With that in mind, let's look at some possible Republican VP candidates. OHIO GOVERNOR JOHN KASICH - I don't think Kasich's presidential bid will go far, but he is a very successful Republican politician in a key state that Republicans need to win if they want to win the White House. In Democratic leaning Ohio, Kasich won re-election in 2014 with 64% of the vote, winning 86 of 88 counties. 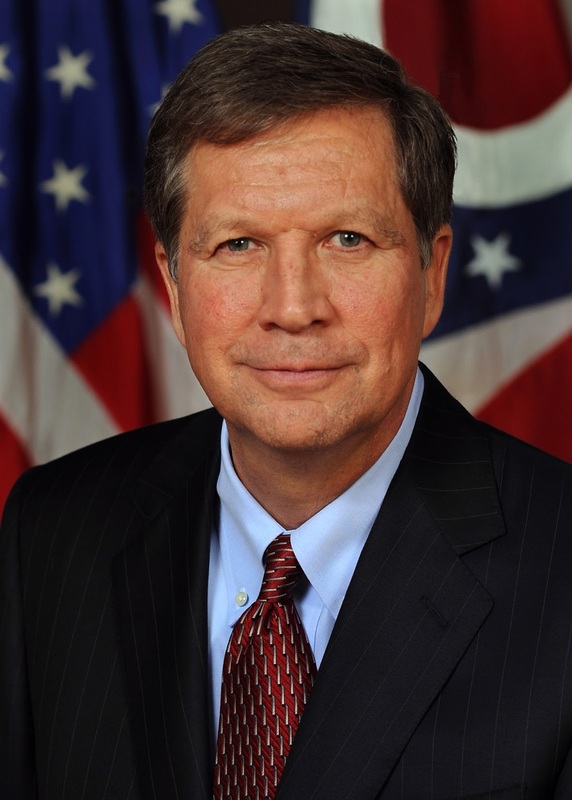 Kasich, however, is a supporter of Common Core which does not sit well with many conservatives. Still that may not be enough to keep him out of the No. 2 slot. Republicans need to win the election. As a Latino, he would also help diversify the ticket. Rubio is solid on most issues, though his anti-libertarian views on national security might irritate more than a few conservatives. But, like Kasich, I doubt that's enough to disqualify him. CARLY FIORINA - If the Democrats nominate Hillary Clinton at the top of the ticket, Republicans might seek gender balance by putting Fiorina in the number two slot. The former CEO of Hewlitt-Packard is surprisingly strong on the presidential campaign trail for someone who has limited political experience. (She ran for U.S. Senate in California.) Unfortunately for Republicans though, Fiorina comes from California and she has no ability to deliver that fact for Republicans. BEN CARSON - A favorite of many tea partiers, Carson would bring racial balance to the ticket. But it's unlikely that his presence on the ticket would cause Republicans to win many more African-American votes and his lack of political experience could prove to be a liability. SOUTH CAROLINA GOVERNOR NIKKI HALEY - Haley ran for the Republican nomination in 2010 opposing the establishment GOP candidate. She has battled corruption within her own party and pushed a pro-growth agenda, She would not only bring gender balance to the ticket, but as an Indian-American she would bring demographic balance as well. On the negative side of the ledger, South Carolina should be a state fairly easily won by Republicans. LOUISIANA GOVERNOR BOBBY JINDAL - Jindal, like Nikki Hale is an Indian-American from a state Republicans should win even without his help. While he would be an interesting presence on the ticket, I think the GOP selection will be focused more on a VP candidate who will bring with him or her a key state with plenty of electoral votes. NEW HAMPSHIRE SENATOR KELLY AYOTTE - While Ayote is a conservative who would bring gender balance to a ticket, her New Hampshire has only four electoral votes. While it is a battleground state, it is a might small battleground. KENTUCKY SENATOR RAND PAUL - Paul is one of the few choices who, with his libertarian leanings, would bring more ideological balance to a presidential ticket. His presence on the campaign would attract youth and more divorce crowds. However, while Paul's views on foreign policy and national security seem to be shared by more and more Republican voters, those views seem to be an anathema to most of the GOP presidential candidates. The ideological divide is probably too great. Plus, Kentucky should be a solidly Republican state in a presidential election. I think the VP favorites have to be Kasich and Rubio. If picking the top five, I would add Ayotte, Haley and Fiorina. A lot can occur between now and the major party political conventions. Kasich should be running on the left liberal Democrat ticket- he sure seems more at home with so-called progressives than his label “Republican” would have us believe. 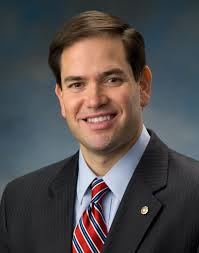 Rubio severely damaged himself when he foolishly allowed himself to be used by McCain, Schumer, Graham, et al, with their phony “immigration reform” plan. “ Real Conservatives may never trust him again for his attempts at disingenuously (or perhaps ignorantly) promoting the failed plan… and remember, a proposal or an idea is always, always “bi-partisan” when left liberal Democrats want the proposal or idea to succeed. Hickey, Jindal, Ayotte… many consider them more as personal problems than real contenders. I concur. Rand Paul would definitely bring balance and ideas in line with the Founders and the American people… which means his crossing the finish line will be tough. The one who has been successful at attracting this voter’s attention is Carly Fiorina. She is exemplary at staying on message, she speaks the truth plainly, she may be wealthy but she connects with everyday American men and women, she is one of us for the fact she was not “privileged” with family money but Fiorina did it on her own. Fiorina is the real glass ceiling breaker and unlike the aged no-new-ideas Hillary Rodham Clinton, Fiorina didn’t have to marry a philanderer and ride his coat tails to power and fame to get where she is today. If Fiorina is not allowed to participate in the debates, I will be convinced Reince Priebus should be replaced; he and his Democrat-lite buddy Karl Rove (the architect of GOP candidate disasters) are not in the best interests of Conservativism. I agree with anon 1:07. I had the opportunity to hear Carly speak while visiting a political event in another state. She was incredibly impressive. I also agree with Anon1:07 and so don't need to repeat his kudos. Buy her autobiography-Carly Fiorina-Tough Choices if you don't know much about her.